Over the course of 16+ years and 17,000 (give or take) As-Built surveys, there are certain projects that stand out. 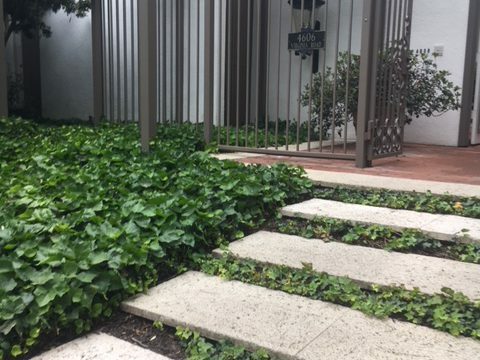 Sometimes it’s for not-so-great reasons (like in 2005 when I left all my tools on a client’s front porch and had to drive back to Yorba Linda in the middle of Friday afternoon traffic), but much more often it’s because the project is really cool and we are proud to be a part of them. Like working on a restoration of an architectural masterpiece. 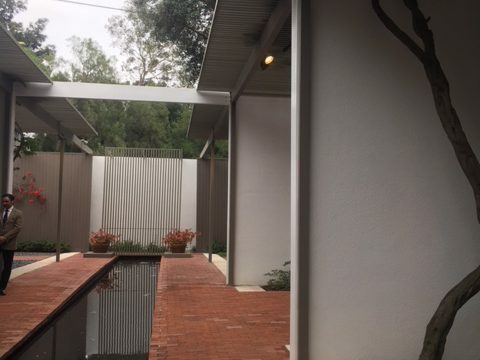 A few months ago we were contacted by one of our regular clients, Kelly Sutherlin McLeod Architecture Inc. with just such a project. KSMA is an award-winning firm right here in Long Beach, specializing in residential, light commercial, cultural and urban planning projects. 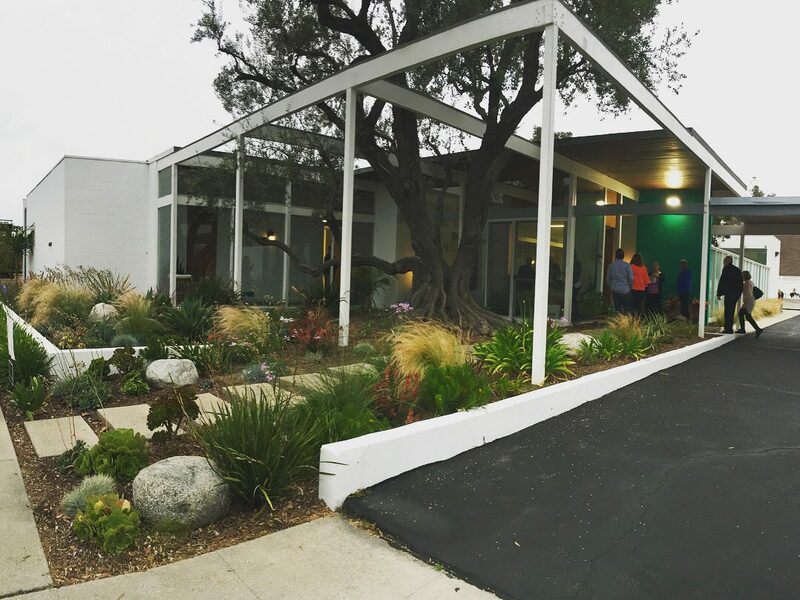 They asked us to provide an updated survey of their headquarters in the Bixby Knolls area of Long Beach. As we began the process of scheduling the project, one of our surveyors, Daniel Noble, quickly volunteered for the assignment. 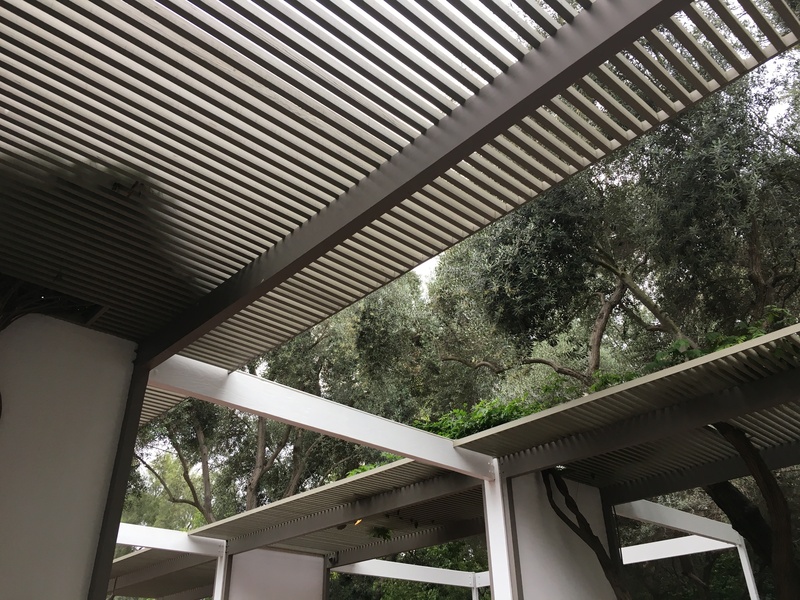 What Daniel knew is that the building was designed by the late Edward A. Killingsworth FAIA, a well-remembered prominent local architect who has been recognized as one of Southern California’s most celebrated architects, primarily known for his Mid-century Modern masterpieces. 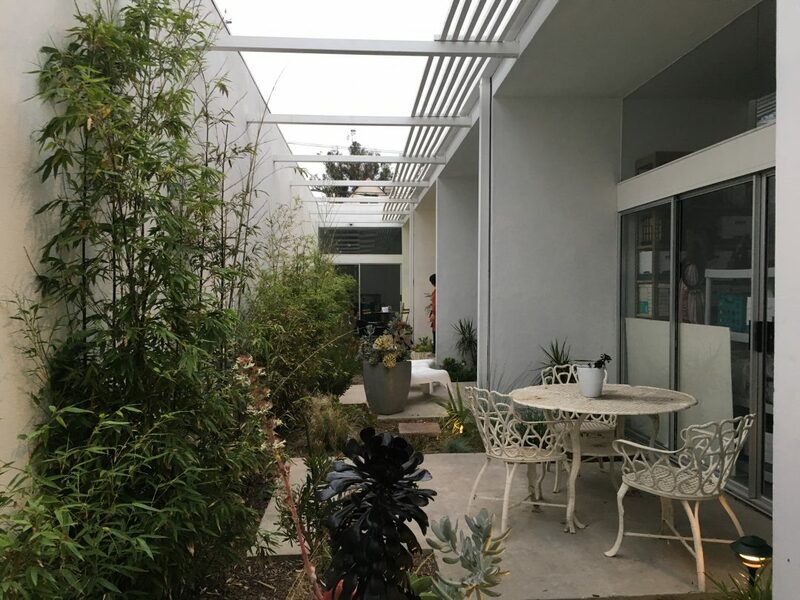 Daniel grew up in Long Beach, admiring Killingsworth’s work, with an ever growing passion for all types of architecture, interior design and restoration on historical structures. Daniel did a full interior and exterior survey of the 5,000 SF building on April 27th using one of PPM’s laser scanners. 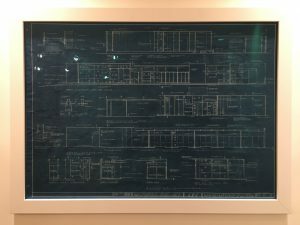 Over the next week, he developed a complete set of As-Built Floor Plans, RCP, Roof Plan, Exterior Elevations, and a Section drawing in AutoCAD. 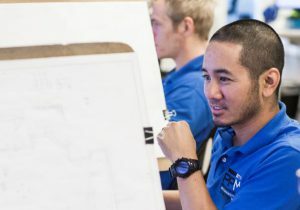 Daniel Noble shown at his drafting work station at Precision Property Measurement’s headquarters in Long Beach, CA. Daniel’s sketch of the east Exterior Elevations view of the KSM Architecture Office. The As-Builts are done – but the story is just beginning. If this was any other project, PPM’s involvement would have ended at this point. We hand off the As-Built survey to our client, wish them luck in their restoration project, and then move on to the next one. 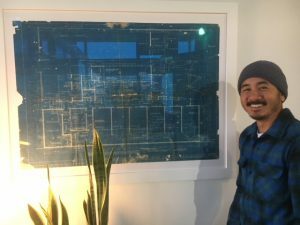 But as luck would have it, right after measuring the KSM Office, Kelly shared an invitation with Daniel to experience an upcoming tour of several local buildings that Killingsworth designed. 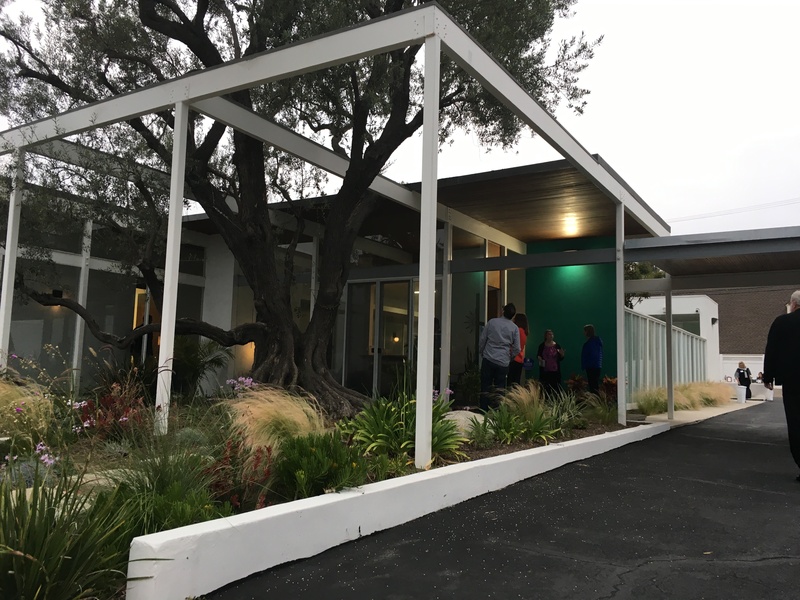 The event was hosted by the Historical Society of Long Beach, and each structure was generously opened to the public by its current owner. Daniel very excitedly attended the tour on May 19th along with about 100 other attendees. 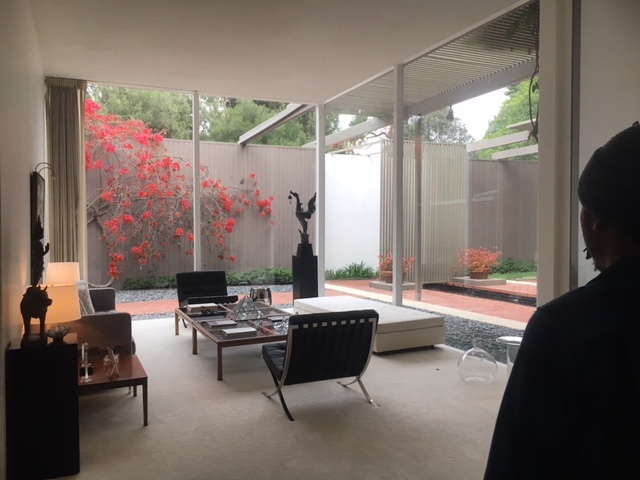 The first stop on the tour was the Killingsworth family home. This house was a “family project,” and was built by Ed, his wife Laura (who still lives there today), and their two sons. The home was built with Killingsworth’s iconic post and beam construction style, and is still cherished by the family today as the primary place to gather each Christmas. 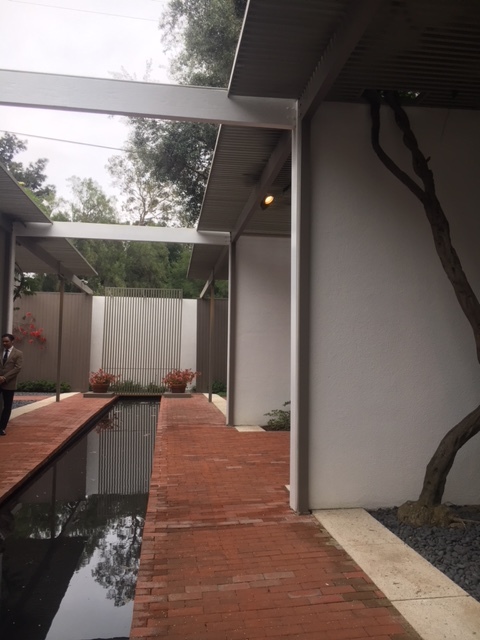 The next stop on the tour was the Brady Home, which has been recently purchased by the artist Lewy Kallas. 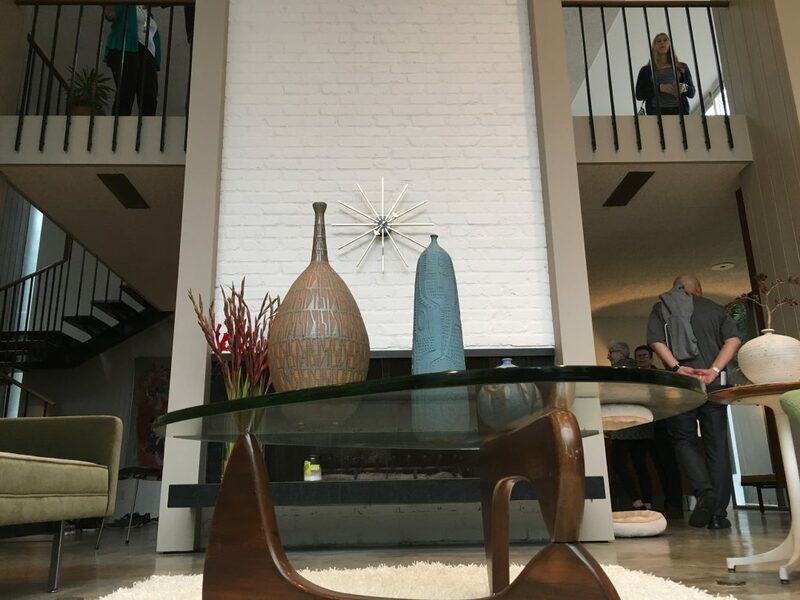 With a deep love for Killingsworth’s work and architectural style, Lewy intends to restore the home back to it’s original design, after previous owners have changed the style of the home through a variety of renovations. 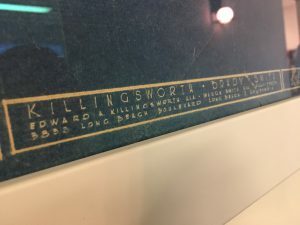 The final stop on the tour was a commercial office building located at that is widely viewed as one of Killingsworth’s most impactful works of architecture. 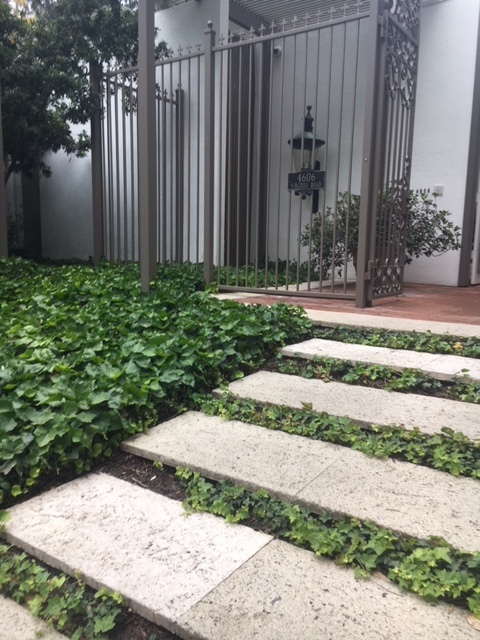 This building was originally built to be a law office for Clock, Waestman, Clock, and is now owned by Oren and Lauren Tanzer. 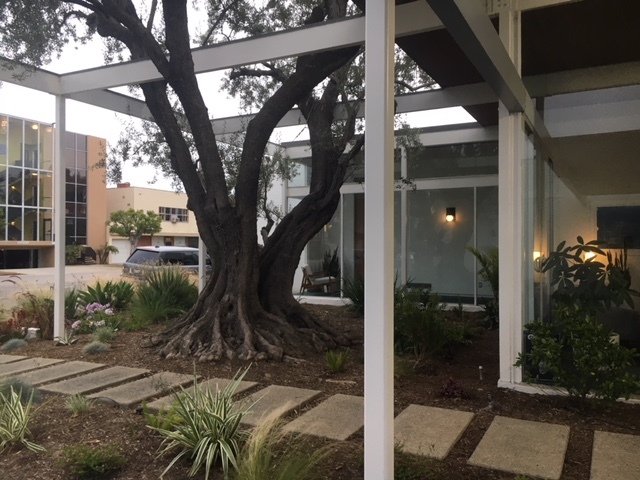 Most of the building is occupied by their company, Summerjax, while one unit is rented out to realtor Nate Cole, who operated his business Unique California Property which specializes in the sale and purchase of custom unique homes. 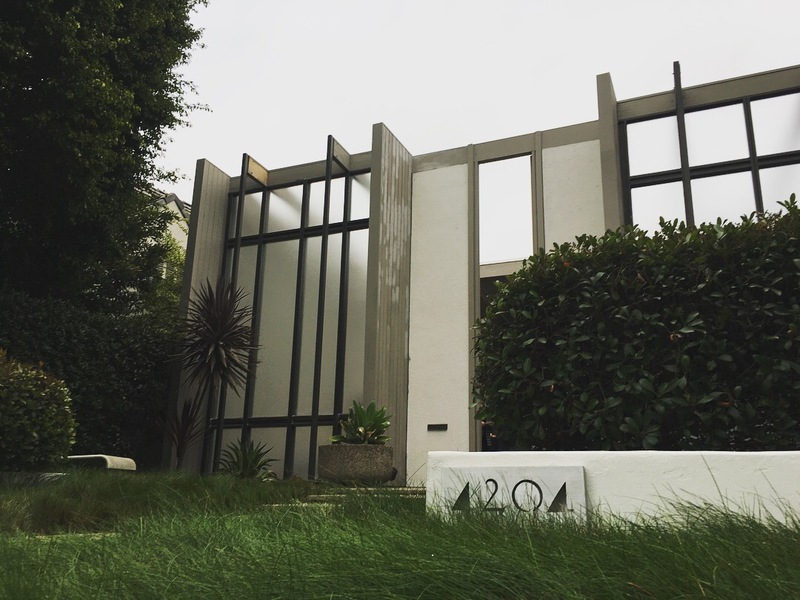 Several of his clients have been owners or buyers of Killingsworth-designed homes. 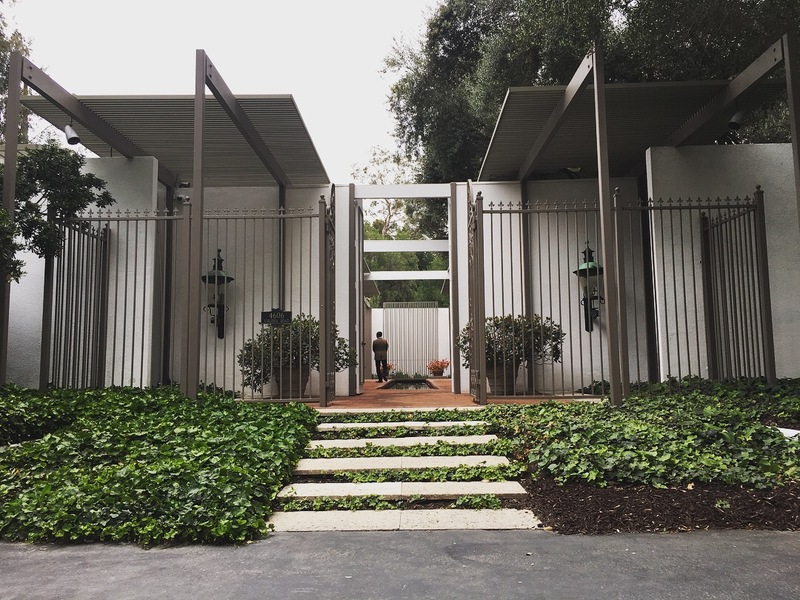 As you can see from the photos, Killingsworth wanted guests to really feel like they had arrived at the structure by creating this special feature at the building entry. The Killingsworth Architecture tour was a great way to connect with the iconic designs of a Long Beach legend. 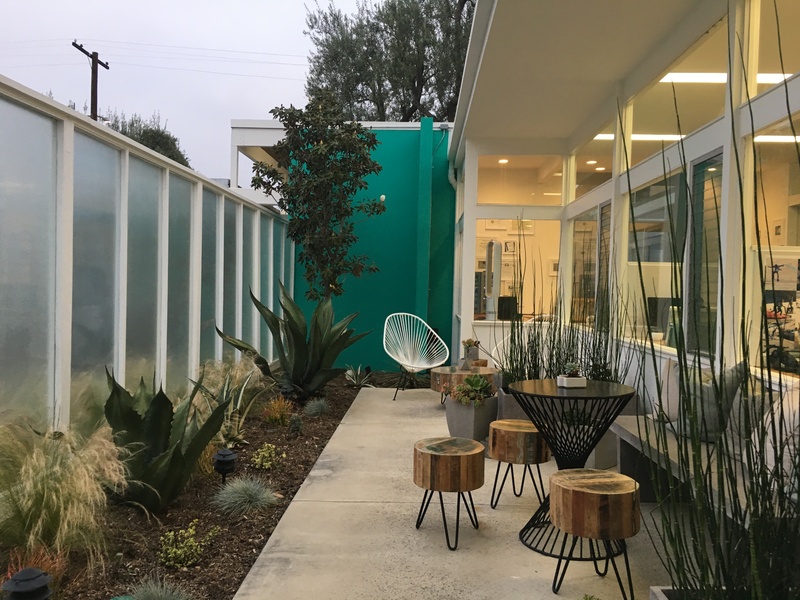 More broadly, it really put into perspective the amazing work that our architect clients like Kelly Sutherlin McLeod, FAIA are doing every day to create beautiful and functional living and work spaces. We are honored to be able to partner with these leading-edge firms as they transform our built environment.